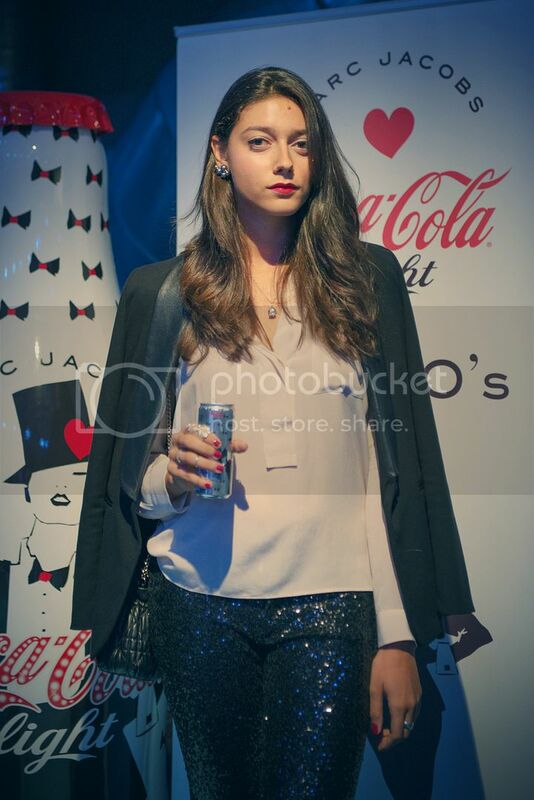 I enjoyed Coca Cola Light during Milan fashion week to celebrate the new collaboration with Marc Jacobs for AW13. The three bottles are inspired by the most fashionable decades: 80s, 90s and 2000s. I had an awesome time at the event in Nhow Hotel Milan with friends and bloggers, drinking Coca Cola light and chatting with such wonderful people. The event also celebrated Coca Cola light's 30th birthday and was sponsored by Grazia.it and Lost in Fashion. The jurors, that elected the three wining bloggers, were: Elena Braghieri , Grazia It-Girl, Lavinia Ciani, model, Silvia Paoli, blogger and journalist, and Luca Santandrea, Coca Cola light Italy's brand manager. Congrats to the three decades girls! Read the article of the event on Grazia.it here, I'm featuring there with my look! !Super happy! For the occasion I wore sequins pants by , silk pale pink shirt Mauro Grifoni, black blazer Vero Moda, Dior bag, and Tabitha Simmons boots. Jewels: earring & Other Stories, articulated ring Bernard Delettrez and necklace Chantecler. Love how you mixed such a masculine look with feminine accessorize. It looks great! Love this look it's perfect! Stai benissimo come sempre...il tuo stile è pazzesco! Complimenti per l'articolo di Grazia!